Outstanding Ultra HD performance is assured by the specially designed 4K display panel with in-plane switching (IPS), delivering accurate colours that remain consistent at wide viewing angles, with four times the resolution of Full HD. To more fully realize content creators’ vision, this monitor is compatible with industry-standard HDR10 high dynamic range, supporting specific levels of colour and brightness that exceed the capabilities of ordinary monitors. Offering a new generation of convenience, USB Type-C™ ports allow 4K video display, data transfer and laptop/mobile device charging, all at the same time over a single cable. Reduce cord clutter and increase efficiency with USB Type-C™. This monitor covers an incredible 95% of the DCI-P3 colour space, the current standard utilized by the film industry, assuring an exceptionally wide range of available colours. Providing the ultimate in fine-tuning for professionals, this model is designed to work with compatible calibration devices* that ensure precise adjustments of colour, brightness and more. ENERGY STAR® certified monitors meet stringent energy efficiency requirements set by the US Environmental Protection Agency in On, Sleep, and Off Modes. On average, monitors that have earned the ENERGY STAR® are 25% more energy efficient than standard options. Features • 4K UHD (3840 x 2160) IPS. • DCI-P3 95% (CIE 1976) Colour Gamut. • Pivot & Height Adjustable Stand. 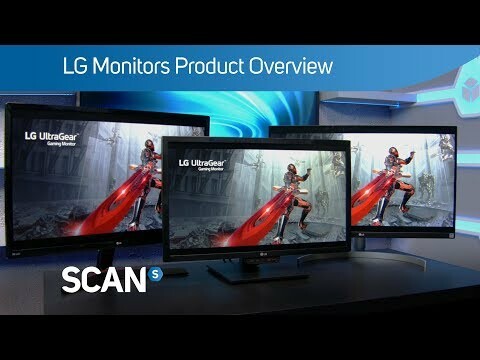 32" LG 32UD99-W Monitor, IPS, HDR, 3840x2160, 60Hz, AMD FreeSync, 5ms, 550cd/m², VESA, DisplayPort/HDMI/Type-C is rated 3.0 out of 5 by 1. Rated 3 out of 5 by Sammaye from Good, but the power brick ruins everything I really want to like this monitor, and in so many ways I really do, but the power brick they have included is (I'm not joking here) the biggest you have ever seen (it is literally 4 times bigger (17 x 9cm) than any other I have) and weighs about 5kg. This would be okay if only LG were not advertising "less cable clutter", how does having a big massive power brick like that make less clutter?? It adds far more clutter than any other monitor I have and because of how heavy it is it is almost impossible to fit into cable management setups etc etc. So, this is a great monitor flawed by a cruddy power brick IMHO.